It was early before the sun came up the day the buyer was coming to take the calves. I was out looking for horses in our big pasture. It took me half an hour to find them, catch them, and trail them to our little tack shed before saddling them. My camera doesn't like the lighting before the sun comes up and you can barely see. It wouldn't focus, but here are a couple of the horses I found that morning. As the sun came up over the horizon we took the older kids and brought the cattle into the corrals. They came in without much hassle at all. We tie the horses and work on foot from here. 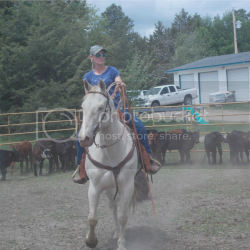 This is our colt Gun Smoke. He isn't even two yet and will be broke to ride next spring. It's a good idea to tie young horses nearby so they can watch, listen, and learn. We sort the mother cows off from their calves. 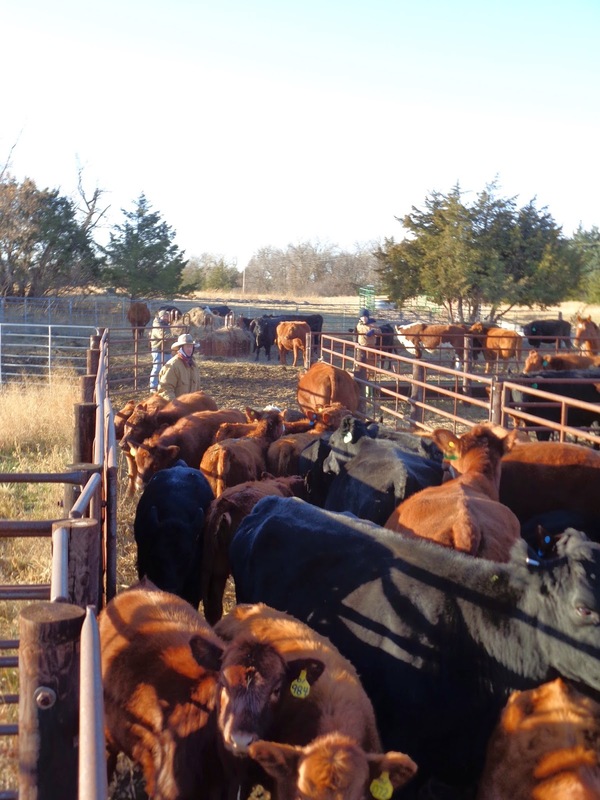 We are a cow calf operation which means we keep the mother cows year after year, and sell only the calves. We keep some female calves, called heifers, for replacements and for building our herd. We try to give our kids every opportunity to learn how to do everything there is to do on the ranch. 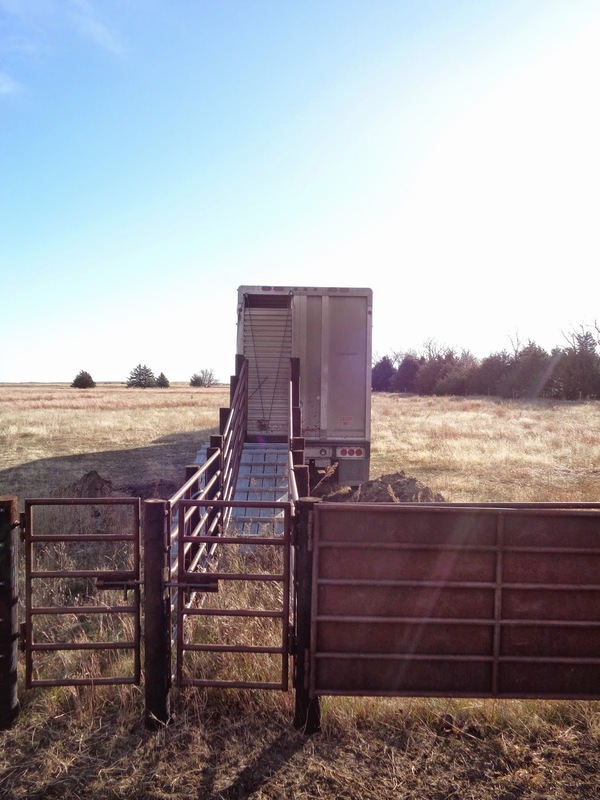 It isn't always convenient and sometimes takes longer, but are we raising cattle or kids? We hope everyone who works with us understands and can see the value of teaching them how to do things, then letting them do it, even if it doesn't go perfectly. All the calves are sorted out and it's time to load them. I don't know why it's so hard for me to see them go, but it is. I saw a lot of them come into this life, helped some of them come into this life, tagged them, doctored them, watched them, fed them, roped some of them and just cared for them. I tried to think of it as a graduation, that helps... they are moving on to fulfill their purpose in life. They are not even going too far from home. We plan on stopping by to see how they are growing and learn more about how we can improve our operation by supplying the kind of calves our buyer wants. They will not be ready for market until over a year from now. It's kind of bitter sweet to see them go, but now the cows can move on and put some condition on before the winter months hit. They are already taking care of their unborn calf so it was time to kick the kids out of the nest! There they go! I feel I need to be an advocate for ranchers in America. So often false information is presented by those animal rights activists who think they know what they're talking about. They seek out those rare situations where animals are being abused and uncared for. 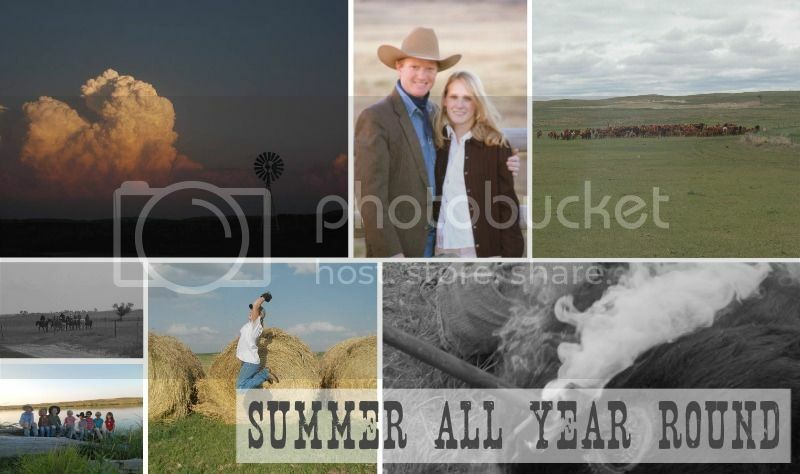 The truth is that ranchers and their families are in the business because they love the land and the animals. In order for animals to reproduce they must be healthy. If they are not fed or cared for properly they don't breed. This is of most importance to ranchers, for this is their income. Don't believe animal rights activists. If they shut down farming and ranching, they starve the world. The respectful taking of an animal's life to improve human life, is the fulfillment of that animal's purpose. It is humane to improve human life.